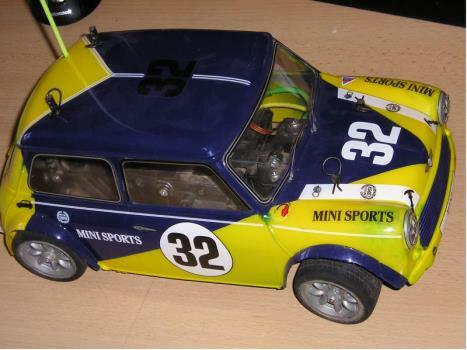 This is my first Tamiya R/C, and also the first R/C car I built from the ground up. Chassis building took no time at all (superior mechanical inclination? ), and everything goes together smoothly. A pleasant surprise, and it only took about 1 1/2 hours to get to step 18. And no special tools are needed...even better! The only real complaints I have are the fairly inaccessible gearbox (but maybe that helps protect the mechanism?) and the window masks one must cut out. Every other body I've sprayed has had pre-cut window masks, and having to cut these masks before sticking them in place was arduous. I have yet to run the car, so I can't comment on its drivability. We'll see if I manage to flip it, and how fast I chew up the tires. For now, it goes together well, should hopefully zip along even with its included 540 motor, and looks a million bucks. Best of all, it only cost me $95! Great deal on a great car that I'd recommend to anyone. 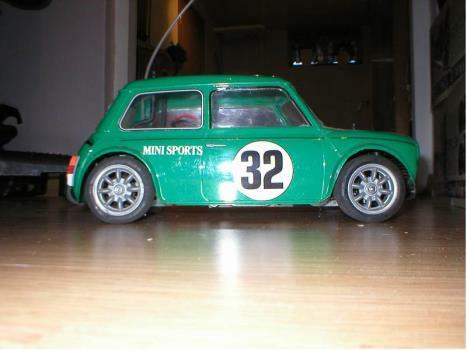 I've just bought myself a new mini cooper and I really love it. chassis building is easy (took me 2.5 hours) and it's fast. furthermore it has a small turning circle and sharp steering. The things I like less are: it EATS tires and it's easy to flip when you are racing on uneven tarmac. The rest of this car is just great. I would maybe not recommend this car as a starter's car, but when you have built a model before and especially driven it, you'll not have any problems with this car. A great car and very fast, although I miss the chrome bits, this car is alot more serious in many respects than the M01 chassis. The body itself like all Tamiya's polycarbonate shells is tough and can take a beating, mine alhough involved in a big accident, did not crack but only exited with a few scratches. 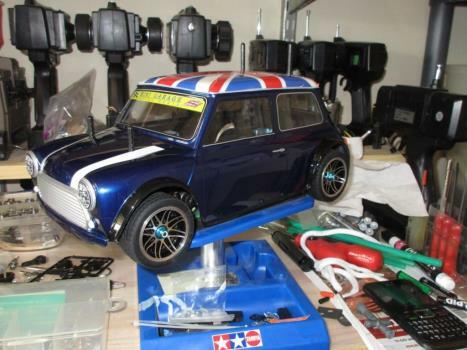 Tamiya has worked wonder with the steering too, aided by a set of four shocks, it is sharp quick and and has a turning circle to make others jealous, meaning that it is perfect for corners. The chassis itself is great , with all the servos accessable for tweeking. Mine also seems pretty fast even on the stock 540 motor, much aided by the lightweight chassis design. The motor over the front wheels and the centre mounted battery add to weight over the front wheels, however the car still wheelspins, which adds fun to the driving experience. 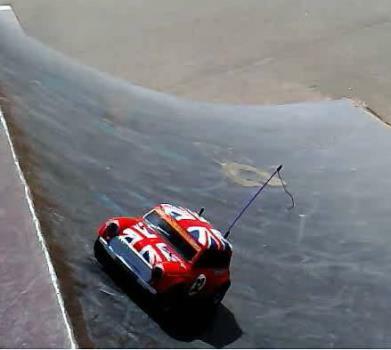 Tamiya also offer a good range of hop up options, that make the car even more fun to drive. The only real problems that I can find with the car are that it eats front tyres, meaning swapping over the back and front for even wear or an ample supply. Also that to get to the gear box, you have to take the rear of the chassis, bumpers steering servo and reciver off to get to it. All in all however, this is a great car, probably the most fun I have driven much aided by the front wheel drive, great for having fun, customising, racing or doing donuts in reverse! I would certainly recomend the cheeky British car to anyone, "Get one and Get free!" 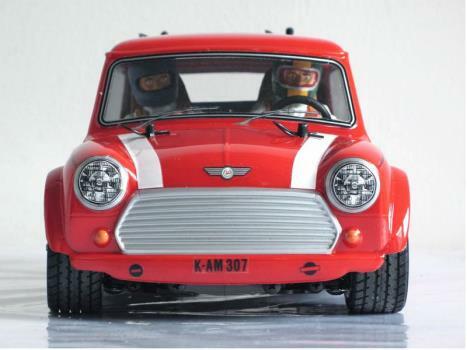 ok, firstly i love this car, im a mini enthusiast as it is, and i think tamiya have produced a diamond here. the body is totally realistic in all its dimensions, and the wheels that come as standard are to say the least realistic, although the hop- up versions i prefer as they ad a bit of weight to the car when driving. As for handling, although good, albeit slightly sharp( its very easy to flip) compared to the mo1 chassis (i think). 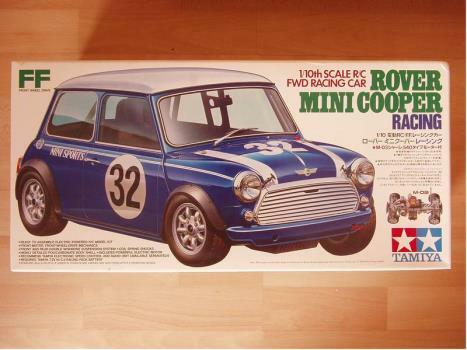 Also tamiya has gone to great efforts to make this car as easy to build as possible, even though i had difficulties as it was my first. One downfall is the way it eats the tires up, even the reinforced ones. but its a small price to pay for such a cute car that can zip along even with a standard 540.